Boston has been bombarded with snow this winter, and it’s also been quite cold for long stretches at a time. I’ve stayed indoors a lot, occasionally making the 5 block trek to my studio—which might sound like a short distance but it’s been an obstacle course out there. So I just love that a thoughtful friend who lives in Florida surprised me with this “Get Warm” package. 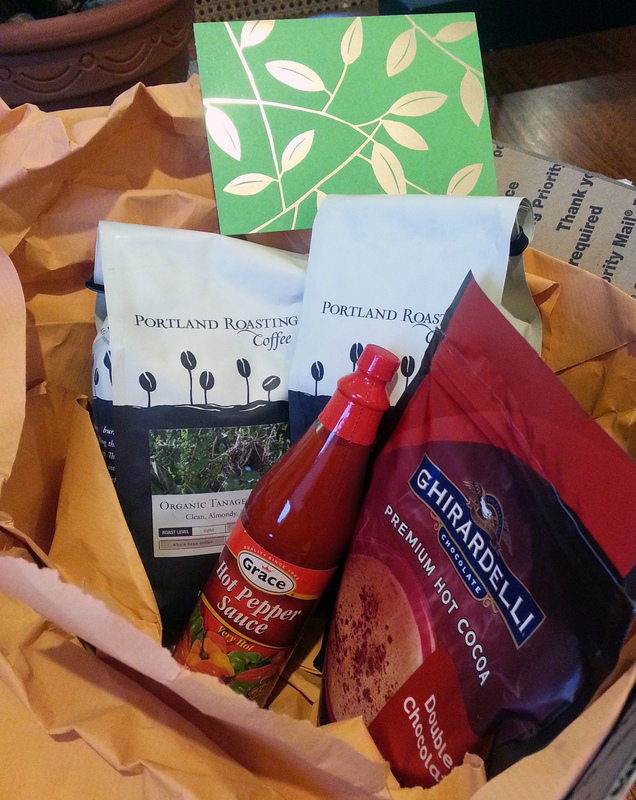 Organic coffee beans, hot cocoa, and hot pepper sauce! It was really nice to know somebody remembered how cold we are. That’s a friend for you. You can view my art galleries here. Hi there. I’m Boston-based digital artist Paula Ogier. In this blog I write about about my art business, new works, projects in process, life in Boston, inspirations, ideas, and creative challenges. I live and work in Boston's South End neighborhood, in the enclave known as the SoWa Art + Design district. I'm fond of big cities, architecture, great imaginative spaces, food & drink, gardening, wandering around the city on foot, binge-watching well written shows, talking to cats, and of course, making and experiencing art. Artist website: PaulaOgierArt.com. Twitter: Paula Ogier Artworks My studio is at 450 Harrison Avenue, Studio 203.